I regret that summer will soon be over and my ice cream maker is just sitting idle doing nothing. Well, of course it can't function on its own so it's all on me. Where have all your Jell-O desserts, panna cottas, gelatos, sorbets, granitas and sherbets go?" Ms JC asked me and I can only respond with a shrug although she herself feels weird that we haven't had a single root beer float party that we normally have as soon as summer starts. I guess the closest thing to a summer treat that I made so far is Mango Tiramisu. Mangoes are the best this time of the year and what a fitting dessert to highlight its deliciousness but this although partaking of the fruit by itself is already a treat. 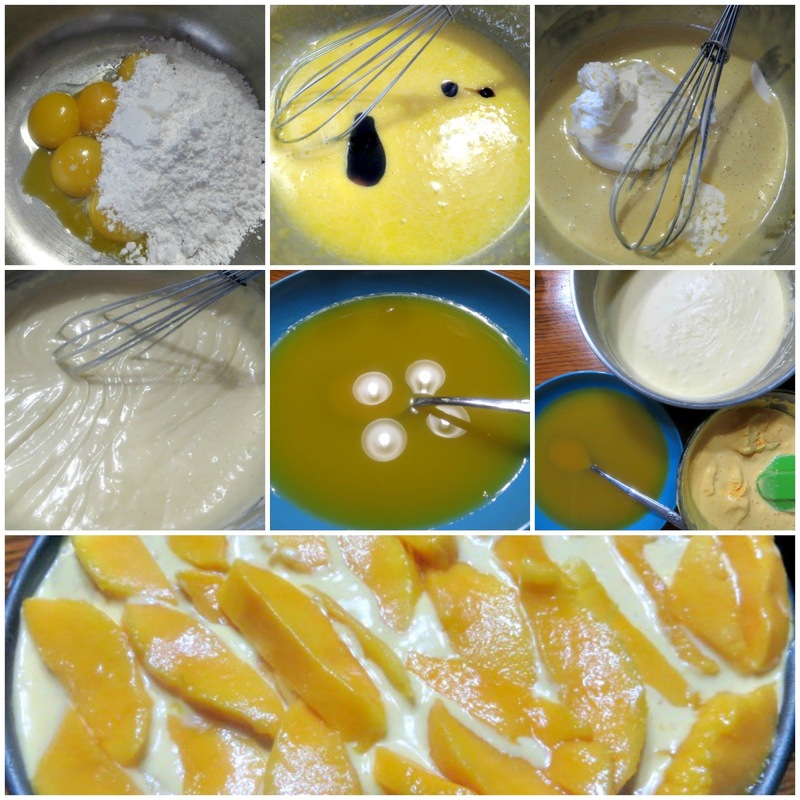 Whisk together egg yolks and sugar on top of a double boiler until well combined. Stir in vanilla. With an electric mixer, whip the heavy cream in the chilled bowl until the stiff peaks are formed. Gently fold into yolk mixture and set aside. To serve: Carefully remove the sides and base of the cake pan and transfer the tiramisu to a serving platter. Decorate with reserved mango slices, then slice and serve. I used store-bought lady fingers due to time constraints and realized that I still prefer making my own.